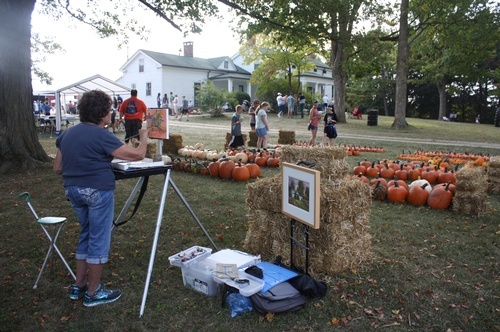 Join us for the 10th Annual Pittsfield Township Harvest Festival on Sunday, September 16th from 2-5PM at the Historic Sutherland-Wilson Farm located at 797 W. Textile Road, Ann Arbor. Free parking and shuttle is available from Harvest Elementary (1155 Campus Parkway). Handicapped parking and bike parking available on-site at the Sutherland-Wilson Farm. At the Harvest Festival, learn more about the historical significance of this farmstead and the Sutherland-Wilson Family. Activities include an obstacle course, Prizes in the Straw, refreshments, and more! The Historical Society will be running fundraisers, including bake sales and half-priced craft sales. Visit www.pittsfield-mi.gov/harvestfestival for more information.